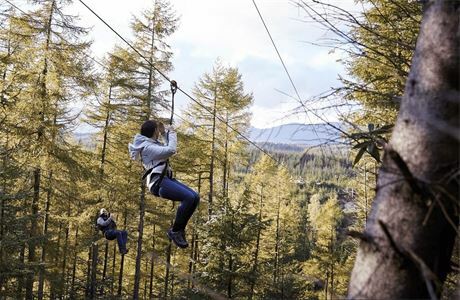 Outdoor Instructor / Activity Assistant jobs in Whinlatter Forest Park, Keswick, Cumbria with Go Ape! We’re looking for Customer Activity Assistants (previously named Instructor) to look after our customers in the great outdoors, at site and in the woods from February to October as they take on their Go Ape challenge – you’ll be fitting harnesses, delivering safety briefs and training, out and about assisting with local marketing and much more besides - depending on which site you’re at, you’ll be on one or more activities - up in the trees on Tree Top Adventure/Tree Top Junior, whizzing around on segways, bouncing around in nets or zipping on zip trek! You’ll understand that we stick to our Health and Safety rules, so if you’re thinking of applying, you’ll need to be over 18 so you are able to supervise all age groups. We’re passionate about giving the customer an experience to remember every visit – that’s why we need hard working, friendly and adventurous people who really care about providing the best experience possible! 1. You must be over 18! 2. You must be available weekends, bank holidays and/or school holidays. 3. Can you deliver "wow" customer service? 4. You will be working outside in all weathers and unsupervised at height. 5. You must meet our operational requirements and fit into a harness. 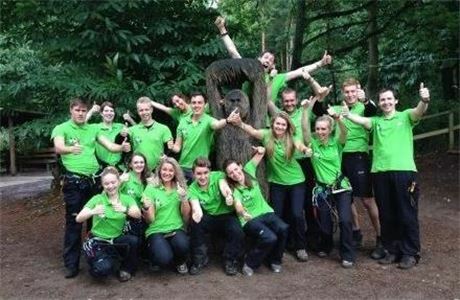 We are rated 67th best company to work for in the UK by our employees, which we think speaks volumes about what a great place Go Ape is to work! 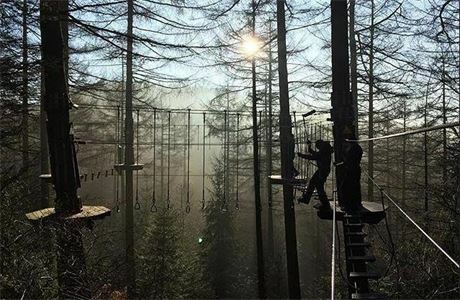 Go Ape offers physically and mentally challenging roles out in the fresh air like no other – both fun and rewarding. There’s a great sense of camaraderie and connectedness within the teams and we’re committed to training you to our high standards with Go Ape’s in-house training programme - a mixture of online and practical development. If you’re super talented and keen to prove yourself, there’s the potential for movement up the ladder over time to Duty Manager, Activity Manager, Site Manager – the skies the limit! 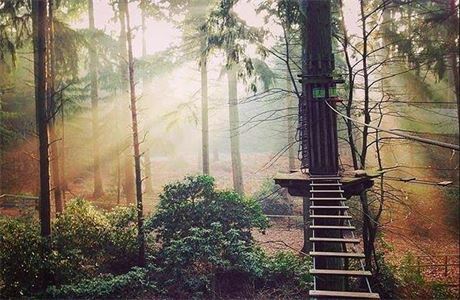 But whether you’re destined for a career within Go Ape, or are just looking for work for a season, for us it’s a two-way street – it’s not just about what you can do for Go Ape, but also importantly, how we can help you to develop as a person and gain or enhance those essential life skills. We promise that your time with Go Ape will be rewarding and memorable and that (if you don’t return next season - many of you will! ), you’ll leave with a whole bunch of enhanced skills to take to your next role. You’ll be more confident, qualified, assertive, and able to make decisions and communicate with people of all backgrounds - not to mention the first class customer service skills! If you feel as strongly as we do about living life more adventurously and encouraging and helping others to do so, this could well be the perfect environment for you. 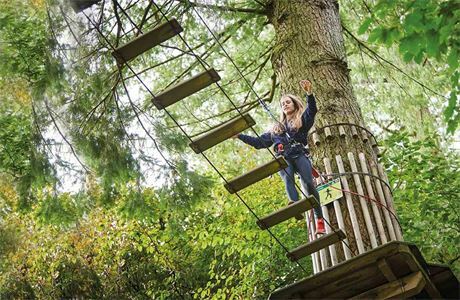 More jobs from Go Ape!